Screensavers are there from windows starting era. People loved it like anything. It was like like seeing your pc in action even when you are not using it and that too in artistic style. You can write your name in 3D art, rotate your pictures or you can set any random hypnotic images to mesmerize you in sleep mode. Some people who are using windows 10 found out that , the screensaver setting is just missing here. When visiting the theme section, the link to apply screensaver is missing. 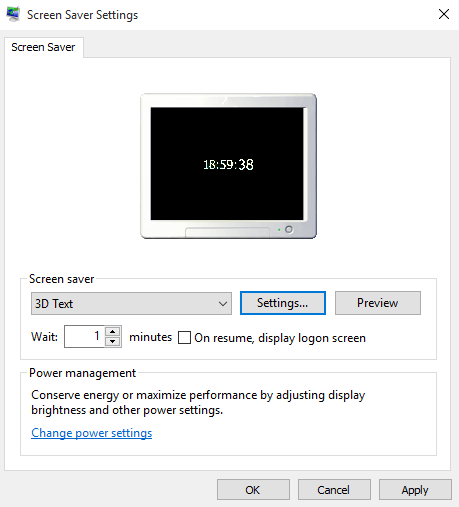 No need to worry for screensaver loving crowd, as windows 10 have not dropped screensaver feature. Just follow these steps to apply a cool screensaver in your windows 10 pc. You can easily find the screensaver control panel via search Box of taskbar. 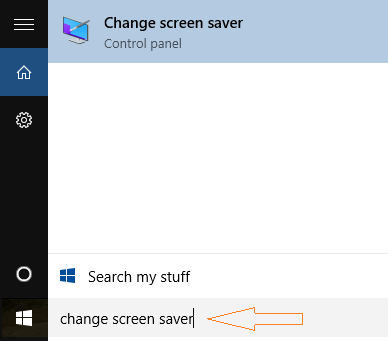 Once you click on the change screensaver icon, screen saver control panel will open up. In this screen you can choose the wait time. The wait time is the time after which your pc goes to sleep mode and start showing screen saver. You can choose the rotation type as see-saw, wobble, spin etc. 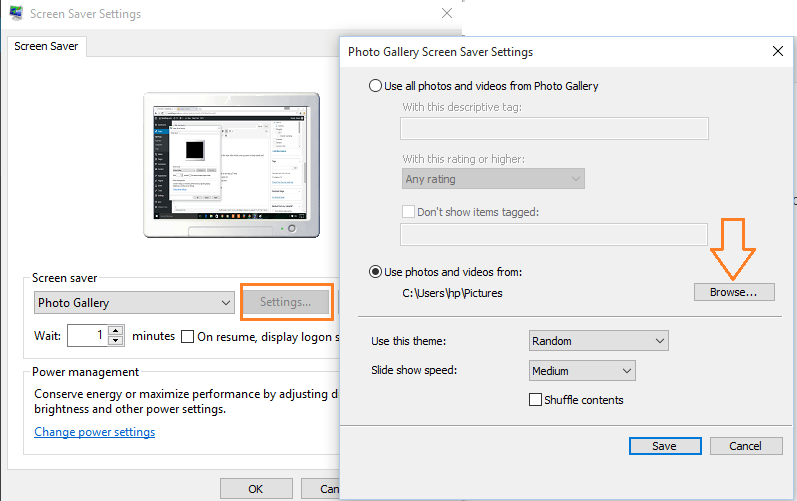 Select Photo Gallery from the dropdown and click on settings as shown in pic below. Now, browse from the place where its written, choose photos and videos from. You can also select the theme of photos and set the speed with which the theme proceeds. 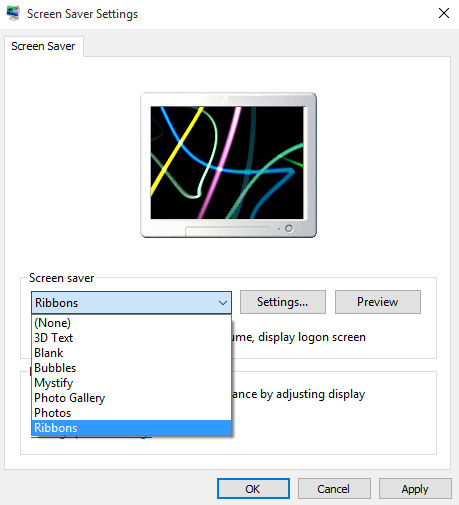 Although in these options of screensavers, no customization is possible. So, go on and apply screensavers in windows 10, if you really love this good old thing and you haven’t dropped the plan of using it.